Modeled after the hero's weapon in the Thor movie. 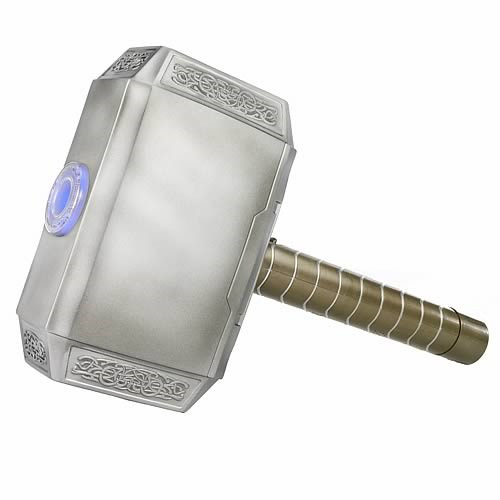 Inspired by the Thor movie, this amazing Thor Electronic Hammer will give you the powers of Thor! (Or a reasonable plastic facsimile thereof.) Featuring a launching missile, as well as electronic lights and sounds, this nifty mock weapon is the best way to keep Loki out of your room. Carry the hammer of Thor, the Mighty Avenger!